To fill the holiday, the Mini Kids' House is located in Nagoya Hill Mall Floor G No. 15 provides special prices for a variety of children's toys and toy collection that became a hobby for most adults. "In welcoming the school holidays this time, we are of the Mini Kids House provides special pricing and discounts up to 20 percent for customers Mini Kids House and Remote Control Hobbies, the discount is due to expire until the end of July," said Rusti, manager of the opera. Special pricing is meant by Rusti, is the discounted price of up to 15 thousand for beberpa types of toys that can help increase the creativity of children, such as the number kids smarter, Smart Block and Fun Racing. 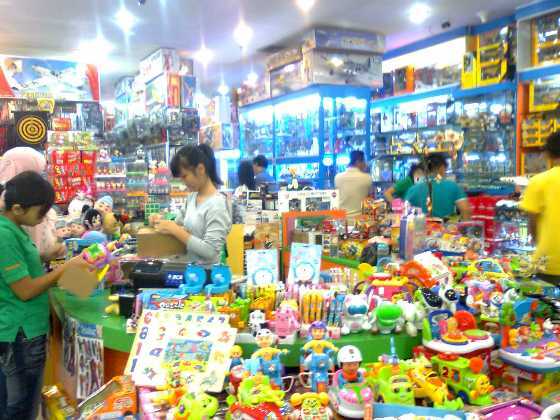 "For the price of the toys are normally around 150 rbu rp least expensive, and with the discount, customers will be saved in the amount of Rp 15 thousand or equal to the discount given to each item in the Mini Kids' House," said Rusty. Besides that, according to Rusty, in welcoming these school holidays, was the Mini Kids House experienced a sales spike, especially for toys for children aged 5-15 years. "If you are using Remote Control toys are usually the purchase tu adolescents and adults, because they are more to the collection or hobby fulfilling their needs," said Rusty. Kids Mini RC Hobbies House and also provides a variety of toys that serves to increase the motor aspect of children under five. Toys are also offered at special prices and for a specific article is discounted 15 percent. "It's a holiday so we want all the kids happy by playing the toys that will make them smart, call it playing while learning," Yates said. Some of the latest of a series of toy airplanes that use the remote control are also available, and according to Rusty lately become a favorite toy is a toy car from small to large. For a toy that uses a remote Mini Kids House also provides batteries for free.